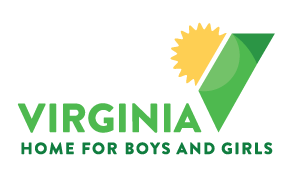 We strive to support the children and families served by Virginia Home for Boys and Girls (“VHBG”) by broadening the volunteer and philanthropic base for both on- and off-campus activities. Working closely with staff, VHBG Young Professionals lend their time, talents, and treasures to make a difference in the lives of children in crisis. Mentors: This Committee will plan monthly activities for VHBG residential youth every second Thursday, 6-8 pm, such as pizza and kickball, bowling, board game night, etc. Community Engagement: This Committee will work with individuals, businesses, faith-based and civic organizations to help serve the needs of VHBG youth throughout the year, such as tutoring, finding internship opportunities, volunteering at VHBG fundraisers, etc. Young Professionals Membership: This Committee will help the Vice Chair engage new Young Professional members. 2. Attend the fall Donor Appreciation Dinner. 4. Be a donor. As an emerging philanthropist, your financial habits are just forming. While you may not be able to give what you feel is a large sum early in your career, any contribution from you is valued. We’re confident that as you develop professionally, your philanthropy will grow with you. For more information or to join the Young Professionals contact Lionel Bacon at LBacon@vhbg.org or (804) 270-6566, ext. 115.